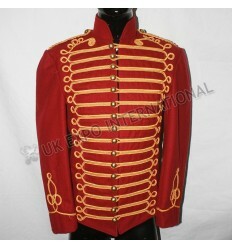 Men Red wine color hussar jacket with copper braid, Brass Doom button and cord. 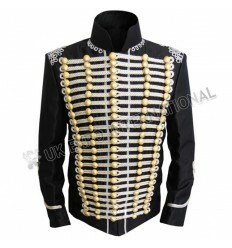 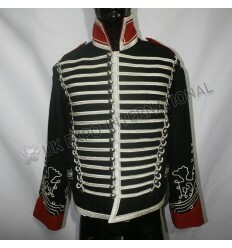 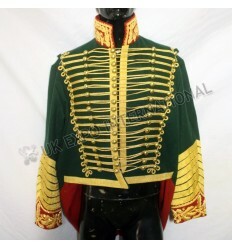 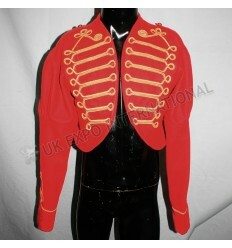 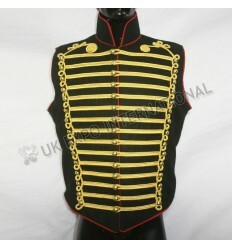 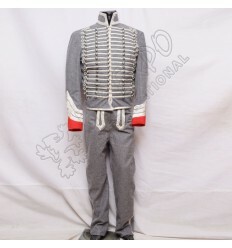 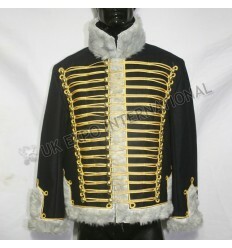 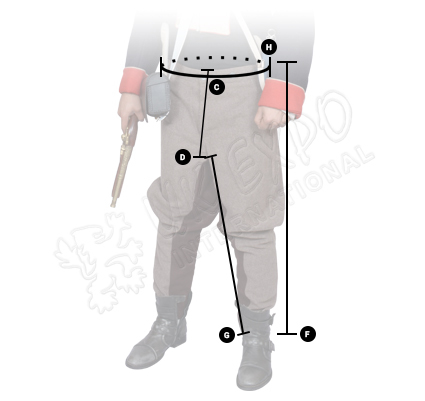 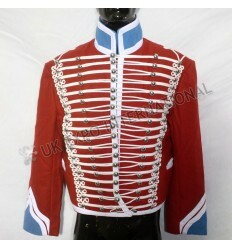 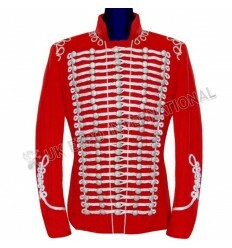 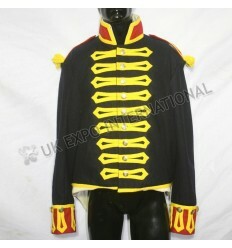 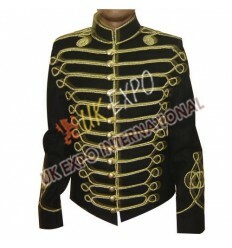 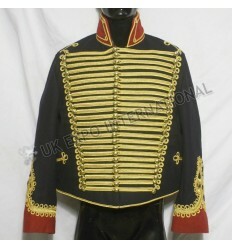 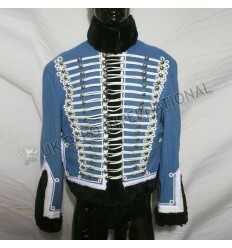 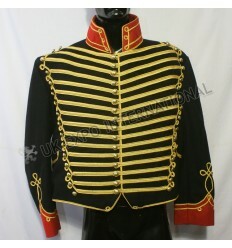 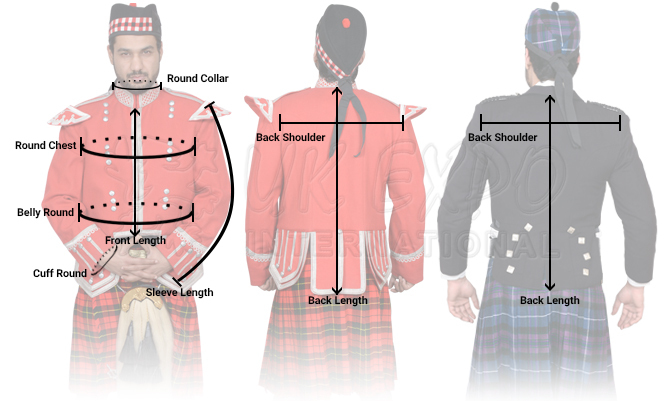 Red military parade band jacket. 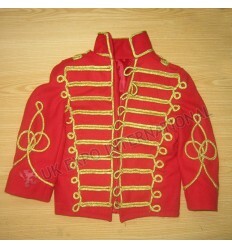 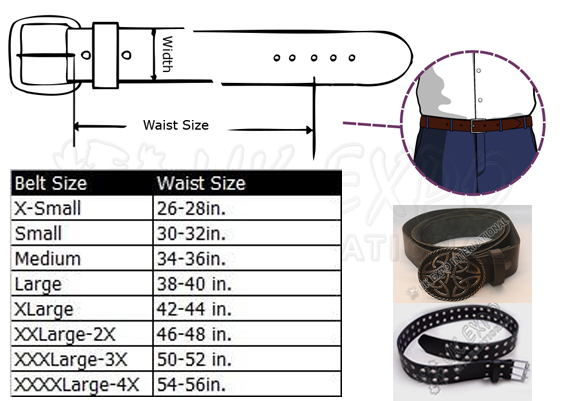 Hendrix Jimi Military Jacket With Golden Braid. 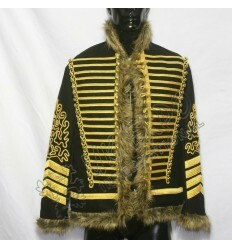 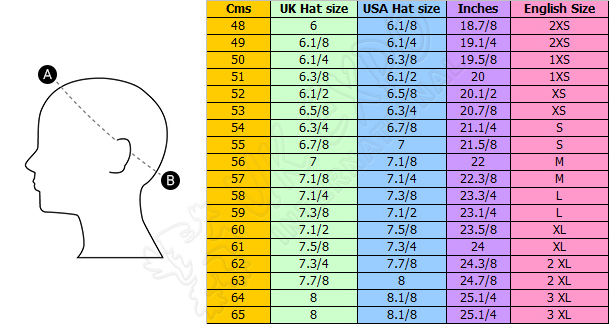 Hussar Coat Black Wool with golden cord hand made.